Elizabeth Cameron is a UNISON activist and a member of UNISON’s National Black Members Committee. When she was elected onto the National Executive Council she wanted to understand more about the trade union movement. She spotted an advert in Labour Review magazine for Ruskin College, and found out that she could apply for a UNISON bursary to help her studies. This seemed like a perfect opportunity for Elizabeth to focus on her own studies, which she’d had to abandon when she became a mum at 17. So Elizabeth applied to do a Masters in International Labour & Trade Union Studies course at Ruskin College. She did the 2000 word essay on the current state of public services which she describes as “a bit of a political rant”. She missed the start of the Masters but was accepted to the BA (Hons) course in December 2012, beginning in January 2013. However, within a year of starting the course she lost her job at Salford City Council. Determined that she continue, her mum helped with her out with costs and she was able to draw down a student loan for the fees. Because she was doing the course part-time over six years, each year the fees increased, starting at £1975 and ending at £6975 in her final year. UNISON helped, providing a total of nearly £2000 in bursary support over the length of the course. 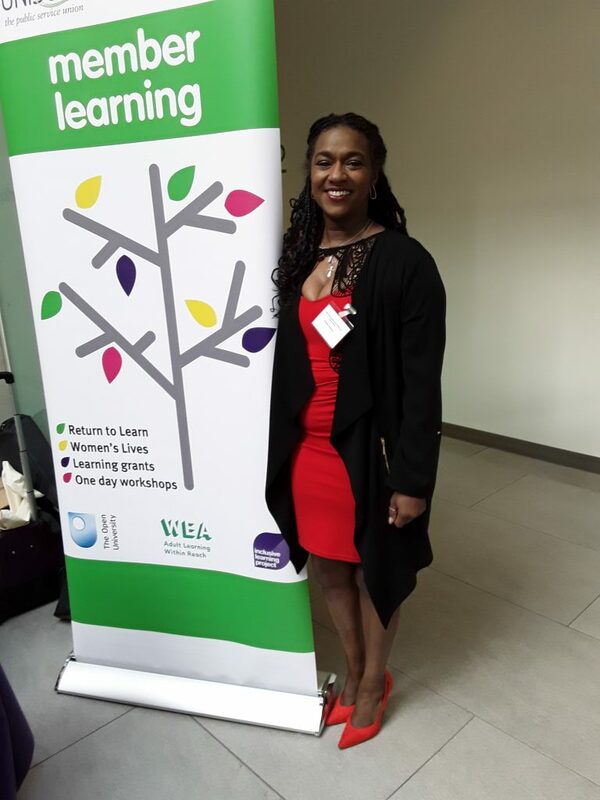 “I wanted to take time out to say a deep and heartfelt thank you for all your support while I have been doing the BA in International Labour and trade union studies at Ruskin.